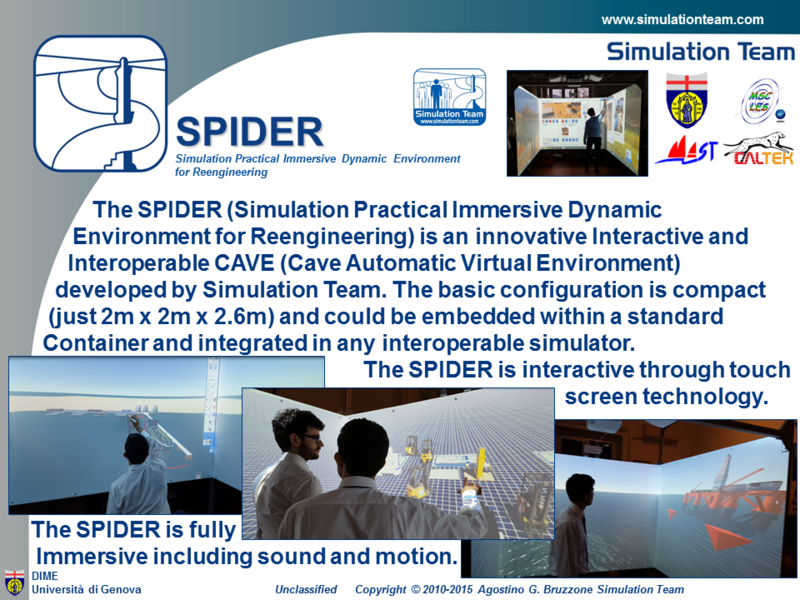 The SPIDER (Simulation Practical Immersive Dynamic Environment for Reengineering) is an innovative Interactive and Interoperable CAVE (Cave Automatic Virtual Environment) developed by Simulation Team. The basic configuration is compact (just 2m x 2m x 2.6m) and could be embedded within a standard Container and integrated in any interoperable simulator. The SPIDER is interactive through touch screen technology. The SPIDER is fully Immersive including sound and motion.